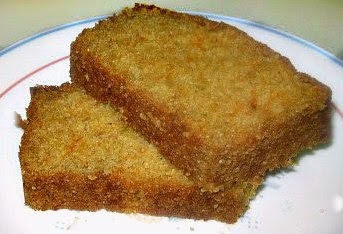 I love quick breads, yes because they are easy to make but more so, because they are usually delicious. This recipe is on page 223 of Kosher Design Entertains. It includes a delicious sounding streusel. Lightly grease two loaf pans on the bottom and half-way up. You can use one 9 x 13 inch pan, if you would prefer. In a medium bowl, combine the flour, cinnamon, baking soda, baking powder and sea salt. Set aside. In a separate bowl, combine sugar, carrots, zucchini, oil and eggs and stir. Add flour mixture to zucchini mixture and stir until combine. I think I see lots of zucchinis in my local market, time to make this cake, looks delicious! Something to make with the never ending zucchini from my summer garden. Your bread looks so rich and delicious, we will just love it! Thanks so much for sharing with Full Plate Thursday and have a great weekend.